Plano TX Townhome For Sale – Contract NOW for JULY move in on this gorgeous CATALINA plan loaded with upgrades. 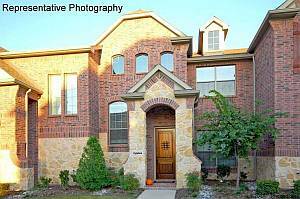 Beautiful brick and stone exterior with hand laid brick porch. Welcoming 8ft Knotty Alder front door with speakeasy. Gourmet kitchen has stainless, granite, gas, convection oven, and maple cabs. Two dining areas great for entertaining. Gas on private patio. Energy efficient with 16 SEER HVAC, radiant barrier, cocoon insulation, double pane and low E windows. See all Townhomes For Sale in the Enclaves of Willow Crest.